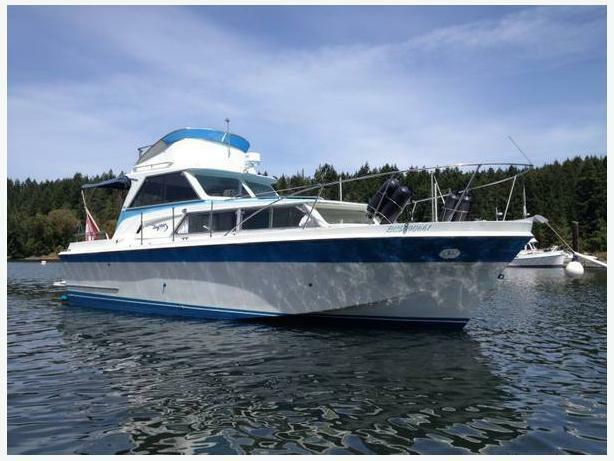  Log In needed $26,000 · 1968 Uniflite Express Cruiser / Fly bridge. 1968 Uniflite Express Cruiser / Fly bridge. Bullet proof FIBERGLASS one of 750 Hulls built as patrol boats for the Vietnam war. Hot Water and Engine cabin heat system. Transom Pass Thru / Swim Platform / Bait tanks / Swim ladder. 2 X 300 HP /Rebuilt since new. Drip-less Bearings / Plumbed in Oil Change system. Solid prime example of a timeless model. consider trade for "What Have You"